We're on the brink of a revolution in mobility. 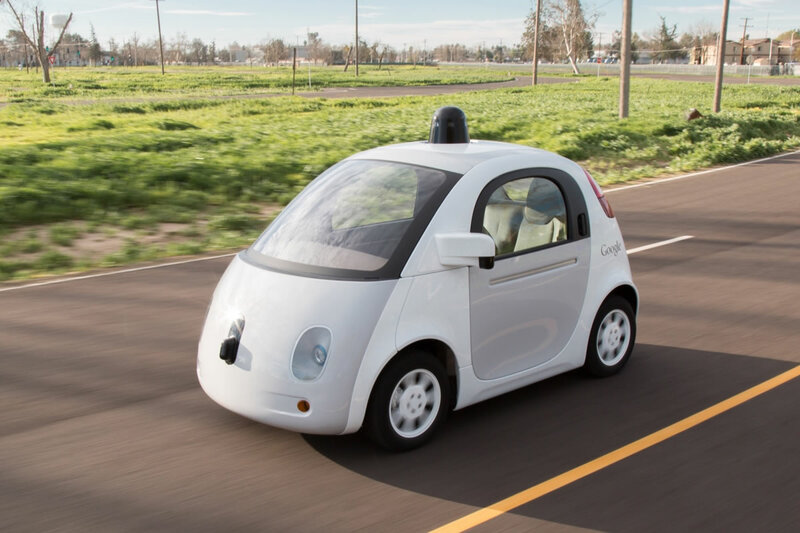 The self-driving car is well on its way, and fully-autonomous vehicles are expected to be on the scene by 2019. Tech firms like Google, Apple, Uber, and Lyft, along with automakers such as Ford, GM, Tesla, BMW and Mercedes Benz, are working both independently and collaboratively in an effort to disrupt transportation as we know it. There is much to be excited about. This innovation comes with promises to "fix" many of our urban problems—car accidents, congestion, parking and long commute times. But the implications of self-driving cars are even more significant than commonly described in the media. Rather than passively waiting for self-driving cars to emerge, we can use this transitional time to decide what we want to get out of this emerging technology. Placemakers can lead the charge to ensure that we harness this technological change to create an urban future that puts people and places first. This could be a once-in-a-century opportunity for reclaiming the street for people, prioritizing walking and other active transportation, and reconnecting this important space with the community. We can simultaneously expand options for limited-mobility populations, provide new combinations of transportation for everyday trips, and develop new alternatives, while also reducing carbon emissions and dramatically decreasing the rate of automobile accidents. 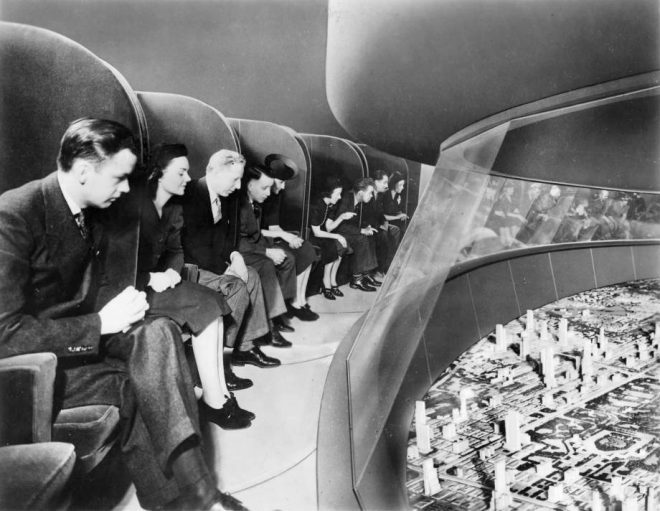 First conceived in the 1930s, self-driving cars were part of utopian, auto-centric visions of the city, like the Futurama exhibit at the New York World’s Fair, which fizzled into the disappointing auto-dependent landscape of mid-twentieth-century America. We’re now on the cusp of realizing these visions—and its pitfalls. Indeed, any discussion of self-driving cars that does not take into account street life, urbanism, or mobility and access for all will inevitably reinforce the same patterns and mistakes of the previous century. It is troubling, for example, that many simulations of self-driving car systems have overlooked the need to incorporate pedestrians and cyclists into their visions. It is essential that any future definitions of safety, access, and mobility do not rely upon pedestrian overpasses or similarly rigid mode separation. Ultimately self-driving cars have the ability to not only improve our transportation and commuting experience, but also our experience of being out in the street, in public, together. They could enable people to spend less on private vehicles and their infrastructure and more on community building efforts and projects. In other words, beyond their value in reducing urban issues like traffic congestion and road safety, perhaps we can also begin to see self-driving cars as an important tool in the process of creating cities and streets for people. More and more, community-oriented spaces are drawing people to cities and town centers. The dramatic improvements in road safety that is part of the promise of self-driving cars, (a 2013 report by the D.C.-based think tank Eno Center for Transportation predicted that driverless cars would eliminate the human factors that cause 93% of crashes,) is on its own a powerful incentive to spend more time in these places. With improved safety, street life may also be better able to spill out onto these shared streets—if placemakers ask for it. There are many other ways in which we can begin to rethink the use, ownership, and control of car-dominated road space—which amounts to about one third of all urban land. If the advent of a self-driving future does remove nine out of every ten vehicles on city streets, thus eliminating the need for all on-street parking and 80% of off-street parking, as some studies predict it will, this presents a huge opportunity for reclaiming public space. Unused parking lots and driveways can become parks, gardens, community centers, or other destinations. Street closures for events or time-of-day restrictions can be communicated to vehicles directly as places to avoid. Local placemakers can demand that municipalities incorporate such re-designs and conversions into their planning documents and codes, and new space can be devoted to housing, offices, and retail. With all this technological change on the horizon, it is useful still to return to one of PPS’s favorite adages: If you plan cities for cars and traffic—self-driving or otherwise—you get cars and traffic. If you plan for people and places, you get people and places.